Constructed in the 1920s, the two story house was remodeled to incorporate a new kitchen, a family room and a large deck. The design of the site builds upon the simplicity and elegance of the house. 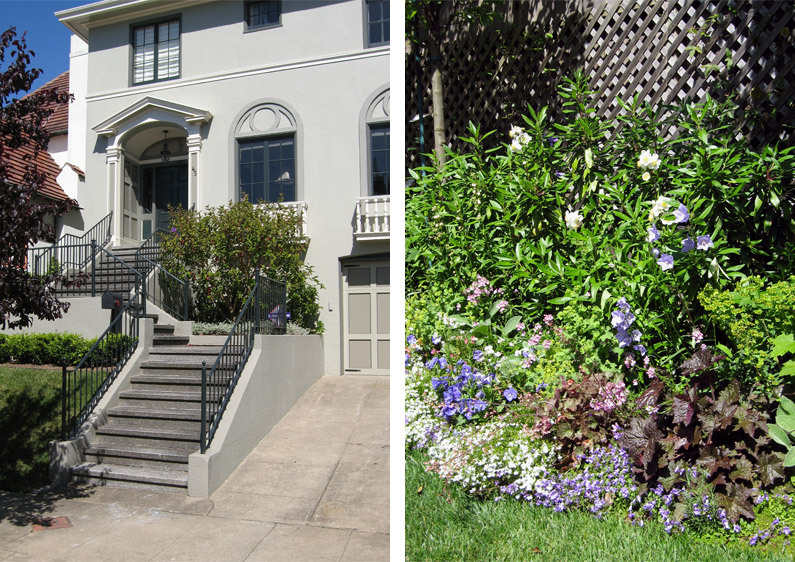 In the front yard, two magnolias were planted to frame the house. A multi-trunk princess flower tree creates a focal point for the entry stair. In the back yard, a low boxwood hedge separates the deck from a small lawn and perennial garden. 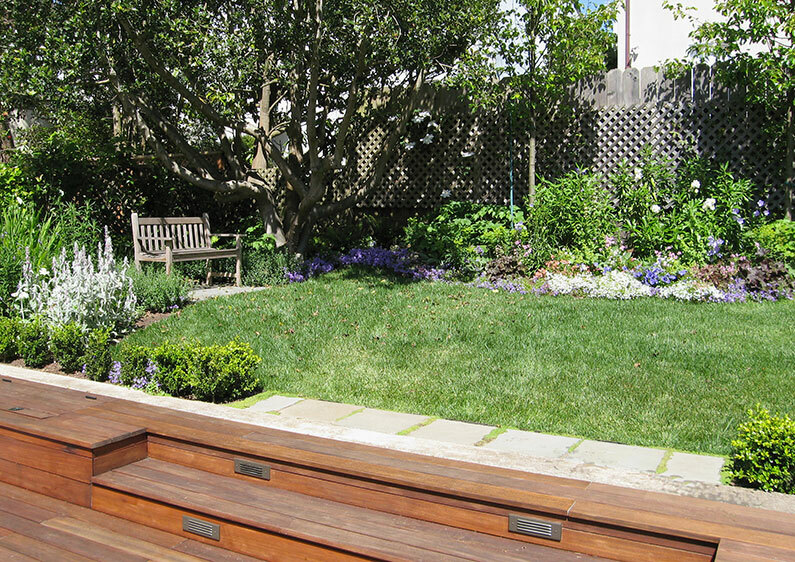 A seating area paved with bluestone anchors the north edge of the lawn and garden. A wider bed along the rear of the yard provides space for a perennial garden and two new chanticleer pears. Plant materials for the back yard include: roses, clematis, lady’s mantle, lavender, Japanese anemone, coral bells and ferns.